This beautifully maintained end unit townhouse is available for rent beginning in August. 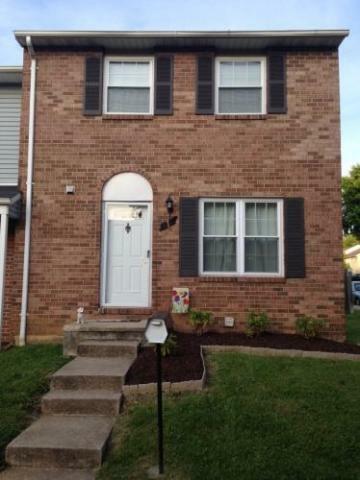 This townhouse is located near UMBC, CCBC, 695, 95, Baltimore National Pike, Patapsco State Park, Rolling Road, 295, Downtown Baltimore and much more. Features include 3 bedrooms, master suite, 2.5 bathrooms, finished basement, fenced backyard, washer/dryer, central air, ample storage, updated appliances and much more. Students are welcomed. Call today for a showing. 1 McGrady Sq, Baltimore, MD 21228 is a 2.5 bathroom, 1,360 sqft townhouse built in 1982. This property is not currently available for sale. 1 McGrady Sq was last sold on Oct 16, 2006 for $255,000 (99% higher than the asking price of $1,750). The current Trulia Estimate for 1 McGrady Sq is $223,727.